Harley-Davidson dealerships ranked highest in the recently released 2008 Pied Piper Prospect Satisfaction Index U.S. Motorcycle Industry Study The study measures how customers are treated when shopping in motorcycle dealerships. The independent study evaluated and benchmarked the shopping experiences of a number of customers at 830 motorcycle dealerships across the US and looked at all the majot motorcycle dealerships. Just behind Harley-Davidson were Victory, Ducati, Buell and BMW who were all above the average. The performance as a whole hadn't changed much from last year, but seven individual motorcycle brands showed improvement over last year . These brands included Ducati, Yamaha and Honda. Triumph, KTM and Aprilia were among eight manufacturers who saw their performance decline as measured by this study. Harley-Davidson dealers kept the first place they received in the 2007 study. Harley-Davidson led all motorcycle manufacturers over 40% of the sales process steps evaluated by the study. 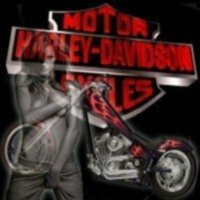 Harley-Davidson salespeople top the list for asking for contact information, mentioning the availability of financing (ugh! ), asking for the sale and giving compelling reasons to buy now. Victory salespeople led all the brands for mentioning features unique from the competition and for focusing attention on three to five memorable product features. Ducati salespeople ranked first for addressing features and benefits relevant to the prospect and for offering a test ride. "While industry-wide motorcycle retail sales have been declining, there are brands and dealers who are bucking the trend and increasing their sales by measuring, benchmarking and then improving their dealership sales process," says Fran O'Hagan, president of Pied Piper Management Co., LLC. For the first time in 2008, the Pied Piper group also measured customers experience contacting the dealership separately by phone and by Internet or e-mail. Even though a majority of motorcycle shoppers now claim to research their motorcycle purchase online, dealerships were painfully slow to respond to online customer inquiries. When dealerships were contacted by Internet or e-mail, 70% of the dealers from across all brands failed to respond in any way within 24 hours. Of those who did respond by e-mail, only a third offered reasons to buy a motorcycle from them, and only two thirds encouraged the prospective motorcycle buyer to visit their dealership.